"Shelley Shepard Gray writes with honesty, tenderness, and depth. Her characters are admirable, richly-layered, and impossible to forget." A truly beloved writer of Christian romantic fiction, Shelley Shepard Gray, author of the popular Sisters of the Heart series, once again joins the ranks of Beverly Lewis, Wanda Brunstetter, and Cindy Woodsmall as she celebrates the beauty and simplicity of the Amish community. 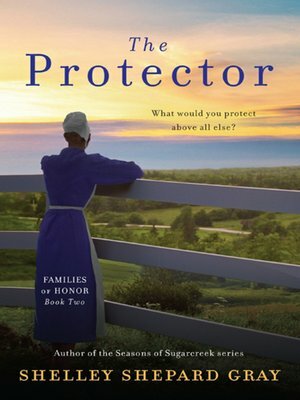 A story of faith, dedication, and deep, heartfelt emotion, The Protector is the second book in her acclaimed Families of Honor inspirational series—a moving and beautiful story of young Amish woman forced to turn over the family farm after her parents' death to a man who secretly desires to share it with her...as her husband.